I was recently playing the board game Loaded Questions with my wife, her brother and his wife. It was my brother-in-law's turn to guess. The card asked the rest of us to name our favorite animated feature film. His wife picked Beauty and the Beast. I selected The Hunchback of Notre Dame (although I could just as easily have gone with Pinocchio, The Secret of NIMH, The Prince of Egypt or The Nightmare Before Christmas). Being fairly familiar with my wife's tastes in animated films, I suspected she would name either Sleeping Beauty, The Lion King or Hunchback of Notre Dame as well. To my surprise, she also named Beauty and the Beast. I knew she loved the film, but was not aware that it was her favorite. After her brother correctly guessed all of our answers, I told her I was surprised by her choice because I always was under the impression she favored these other animated films. "I admire aspects of the other ones," she informed me. "I think the backgrounds and music in Sleeping Beauty are beautiful and I like the story and themes of Hunchback, but with Beauty and the Beast, I just love the whole package." I not only learned something new about my wife that day, I was reminded of something that I guess I had forgotten: namely, that Beauty and the Beast (which celebrates its 20th anniversary today) is deservedly one of Disney's most beloved animated features because, unlike numerous others (which can be very uneven), it excels in ALL of its areas. It is arguably the perfect Disney movie. 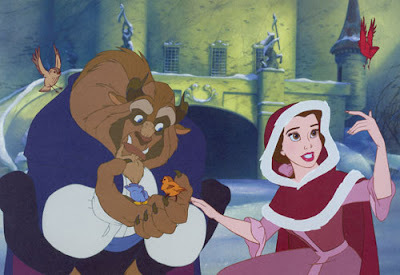 Beauty and the Beast came at a time when Disney was experiencing a real renaissance in animation. Throughout the '70s and early '80s, some decent movies such as The Fox and the Hound, The Great Mouse Detective and The Black Cauldron were produced, but they failed to achieve the kind of critical or commercial success that had come to be expected from a Disney product. To make matters worse, the live-action arm of the studio (which was churning out such "clunkers" as The Black Hole, Tron and Return to Oz) wasn't faring much better. The studio was finding it tremendously difficult reaching contemporary audiences with its somewhat antiquated material. Their attempt to produce something more "modern" and "cool" with the pop song-heavy Oliver and Company only reeked of desperation. Meanwhile Disney's competitors (including former Disney animator Don Bluth's An American Tail and The Land Before Time) were gaining a lot of ground. So, in the mid-1980s some "new blood," in the guise of former Paramount executives Michael Eisner and Jeffrey Katzenberg, was brought in to change things at the struggling studio and special attention was paid to the once-great animation department. Their plan was to try to recapture the essential elements of Disney's golden age: good stories simply but expertly told with gorgeous animation, interesting characters and memorable music. The result was The Little Mermaid, an enormously entertaining creation that seemed to include all of the classic characteristics of Disney fairy tales as well as a few new qualities that made it resonate with both children and adults alike. I remember seeing it in the theater with my family in junior high and just being utterly charmed by it. It even went on to win two Academy Awards: one for the score and one for that catchy little tune "Under the Sea," proving that the music was a major ingredient for the film's success. That music came for the imaginative minds of the composer Alan Menken and his lyricist Howard Ashman, the team responsible for the subversive yet immensely melodic off-Broadway hit-turned 1986 movie Little Shop of Horrors. 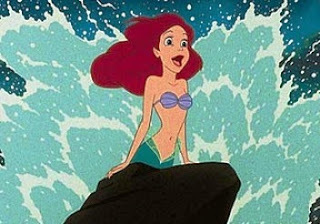 Thus, when Mermaid earned hundred of millions of dollars (much of it from the home video release, the first time a current Disney animated feature appeared in that format) and marked a real return to form for the endangered studio, it seemed only natural that its successor would try to build on the same foundation that it had laid (including the Menken/Ashman songs). Expectations were understandably high and whatever it was to be, they would have to make it something really special. 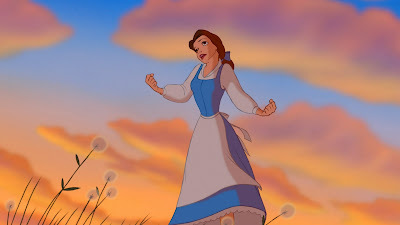 Disney decided to go with the well-known French fable of a beautiful woman (whose name was wisely changed from "Beauty" to "Belle") who stays in an enchanted castle run by a monstrous beast. Although she is repulsed by him initially, she eventually learns to see the kind, tormented and beautiful person hidden beneath the hideous veneer and in the process warms his own cold heart. In the end, she declares her love for him which transforms him back into the handsome prince that he was before being bewitched by an evil spell and the two live happily ever after. The story had been told onscreen before (most famously in Jean Cocteau's stunning 1946 adaptation La Belle et la Bête) but never in feature-length animation. Borrowing several elements from the Cocteau film (such as furniture within the castle coming to life) but adding quite a few touches of their own (including the heroine's rescue from a pack of wolves by the beast), the animators fashioned a colorful, sweet, funny and at times scary product. Not surprisingly the animation is gorgeous. The design of the beast is a particular standout. 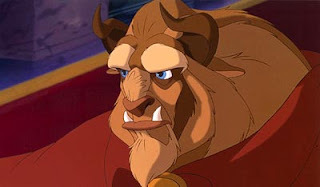 Whereas in other incarnations the beast usually resembles a really hairy human, this beast is fully animal with equal parts buffalo, lion, bear and various other carnivorous creatures. Despite all this, an undeniable humanity still comes through loud and clear in the character's facial expressions and body language. This is no doubt due to the fact that his design was supervised by the eminent animator Glen Keane who has a track record of making huge, lumbering creatures look strangely graceful (see the bear in The Fox and the Hound and Professor Ratigan in The Great Mouse Detective). In fact, all of the characters in Beauty and the Beast, from the leads right down to the minor characters, are beautifully rendered with with distinct looks and interesting personalities. This is especially impressive when one considers that most of the characters in the film are sentient household objects such as clocks, teapots, candelabras, etc. The only other animated film I can think of that so effectively turns inanimate objects into living, breathing beings (not including the Toy Story trilogy) is the woefully underrated Brave Little Toaster. Of course, the believability of the characters is aided in no small way by the bravura vocal performances of the excellent cast. Beauty and the Beast followed another wise Disney tradition in that they decided to hire talented actors to give voice to these characters and not A-list movie stars. At the time I saw it, the only voice I really recognized was Angela Lansbury. Even though I was somewhat of a teenage movie buff, I had no idea who Jerry Orbach, Paige O'Hara, David Ogden Stiers and Robby Benson were and I suspect most audience members were like myself. Their ignorance of the actors working behind the scenes helped make it easier to merely accept the characters on screen at face value. Unfortunately, ever since Robin Williams was cast as the Genie in Disney's next animated blockbuster Aladdin, this turned into a practice that seemed no longer viable. Feature animation now appears to be populated primarily with celebrities (which is no doubt why so many distinguished voice actors such as Maurice LaMarche, Frank Welker and Rob Paulsen all have to work in television) and it creates a bizarre disconnect between the figures we see moving on screen and the voice we hear coming out of their mouths. We know that it's Cameron Diaz we are hearing but it is not Cameron Diaz that we are seeing (at least Pixar is trying to continue the tradition of casting the right actors for the roles regardless of their celebrity status). Another significant development in the history of animation that occurred in Beauty and the Beast was the combination of hand-drawn characters with a completely three-dimensional CGI environment in the now iconic ballroom sequence. It wasn't the first time such a thing was attempted (the climactic clock tower scene from The Great Mouse Detective did the same thing) but this was the first time such a feat was accomplished so seamlessly. Though it may not be quite as impressive to us now, the sight of the "camera" gliding around the characters, swooping down toward them from above and even moving between them as they danced (almost as if we are dancing right along with them) really helped draw audiences even further into what was already an emotionally-charged scene a) because of what was happening in the story at that point and b) because of the lovely title song that was being sung by Angela Lansbury's matronly Mrs. Potts during it. As corny as it may sound, it really is a magical sequence that somehow seems to transcend all of the numerous technical achievements that helped make it so. One would have to be pretty jaded and heartless to not find themselves in some way touched by it. Like The Little Mermaid, the songs that Howard Ashman and Alan Menken collaborated on for Beauty and the Beast are superb. Clearly modelling their work on Broadway showtunes, every song just pops. There is not a weak tune in the bunch. Also, every song either furthers the story or develops character. The opening number "Belle," for example, introduces the protagonist, establishes how the townspeople feel about her, acquaints us with handsome but obnoxious Gaston who is pursuing her and just generally sets the "stage" perfectly for everything that follows. Gaston even gets his own song wherein the townsfolk sing about how great he is and he in turn agrees with them mentioning all of his accomplishments and hilariously pointing out that every last inch of him is "covered with hair." 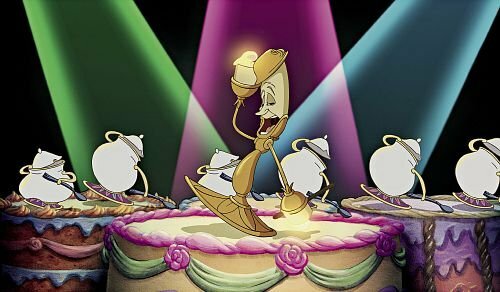 The big show-stopping number of the piece, however, is "Be Our Guest," a massive extravaganza showcasing a parade of food and cutlery led by a spotlight-hogging candelabra named Lumiere (voiced and sung by the multi-gifted Jerry Orbach). Seriously, Joel Grey's Master of ceremonies from Cabaret has got nothing on him. Finally, the darker and more sinister "Kill the Beast," wherein Gaston reveals his true colors, rounds out an already impressive collection of melodies. It was a no-brainer that the film would receive Oscar nods for its music. The songs "Belle," "Be Our Guest" and "Beauty and the Beast" were all nominated but it was the title song that took home the statuette. What was unexpected, however, was that Beauty and the Beast would become the first animated feature film to ever be nominated for best picture. It was a milestone in the history of animation and made everyone who worked on it very proud. Alas, one individual who never got to see the awards, the critical acclaim or the commercial success that the film garnered was Howard Ashman. During production of Beauty and the Beast it became painfully clear that Howard was dying of AIDS and although he continued to work very hard on the film (helping with the script as well as with the music), on March 14, 1991, Howard died and what was perhaps the most auspicious musical teams since Rodgers and Hammerstein came to a sudden and tragic end. The film's final credits featured one of the most poetic dedications I've ever seen: "To our friend Howard, who gave a mermaid her voice and a beast his soul, we will be forever grateful." 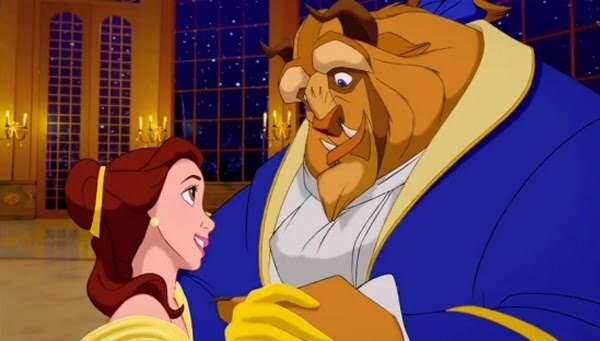 Although some could argue it was The Lion King that represented the pinnacle of Disney's "renaissance period" (a time when Disney seemed to have the Midas touch, well before Eisner drove Katzenberg away and then proceeded to wreck the very company he had once saved), I think Beauty and the Beast is the true supreme achievement from that era. Everything just came together in such a way that the film managed to catch that ever elusive lighting in a bottle. Twenty years later it still looks, sounds and feels great. Recently it was released on DVD/Blu-ray in a "special edition" which included such notable features as a newly animated music number which was excised before the film's original release (the song was called "Human Again" and it's a charming little tune but I think they made the right decision cutting it as it sounds to my ears too similar to "Be Our Guest") as well as the "work-in-progress" version which the studio courageously premiered at the New York Film Festival. Though it gave birth to several inferior direct-to-video sequels and a successful Broadway show, its true legacy will be as one of the greatest (if not arguably the greatest) animated features that Disney ever produced. The word "masterpiece" gets thrown around a lot, but I feel it truly is a masterpiece, not just of animation but of cinematic storytelling. It is also the last time that a genuine fairy tale was depicted on the big screen. In our increasingly cynical culture, feel-good stories of princesses, monsters, villains, magic and, most of all, happy endings are becoming increasingly rare. Even when a film does attempt to bring a fairy tale to theaters it has to be done in a very sarcastic, self-aware manner (a la Shrek, Enchanted and Tangled); more of a "meta" fairy tale than an honest-to-God "true" fairy tale. Beauty and the Beast is a timeless love story with an enduring message, but it is also in some ways a relic of a bygone era. Unless Pixar's upcoming Brave can reinvigorate the genre, it may be a long, long time before we see another bona fide fairy tale told with such unapologetic enthusiasm and sincerity. I liked Little Mermaid a lot, but it in no way prepared me for the triumph that Beauty and the Beast would be. I picked it as my best film of 1991. Unfortunately, I think all their straight animated films that followed went downhill from there, in large part due to Ashman's absence, but also because of Disney confusing creativity with formula. You probably don't care what Michael Medved has to say (I certainly don't) but in this case, he agreed with you. He considered BEAUTY AND THE BEAST the best film of the year. The best for kids, the best for adults. Period. Somehow BEAUTY AND THE BEAST just managed to transcend all of the "calculation" that seems to affect a number of Disney movies both before and after it. It really was the pinnacle of Disney;s renaissance and although the animated films that followed do have their good qualities (I really think, for example, that THE HUNCHBACK OF NOTRE DAME is a very bold, mature and under-appreciated Disney product), I agree that they started to slowly go downhill after it.